The Newport band has had a lot of names, including Navy Band Northeast, Navy Band Newport, and Northeastern Navy Band, but it's only had one reputation: a great band in a great town. 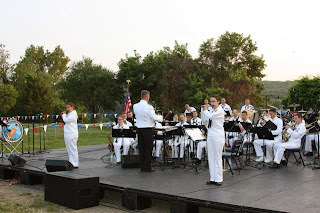 If you've been stationed with the Newport band, Navy Band Northeast invites you to join them in performing their first Alumni Concert on Tuesday July 21, 2015 at 1900, at Saint Michael's Country Day School in downtown Newport, RI. The band will rehearse the day before the concert, Monday, July 20 (time TBA--probably 1600 to 1800 or 1700 to 1900), followed by an all-hands reception. 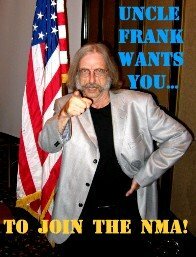 To confirm your participation, contact MU2 Amber Hosner at amber.hosmer@navy.mil. You may never have heard of the Quad Cities, a group of Illinois and Iowa cities that straddle the Mississippi River. But the Navy knows about us. Every few years they allow us to host Navy week. 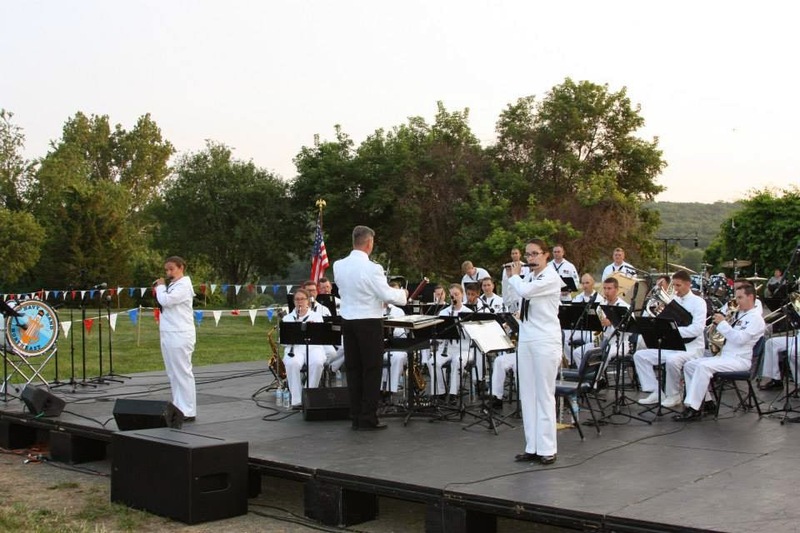 The honor is ours, because they send us the Navy's ambassadors to the Midwest: Navy Band Great Lakes. ... and ran into some old friends. "Joliet" Jake, Elwood and Frank. And wow. I arrived at Schwiebert Park while the band was completing its sound check, and I sensed immediately this band would shine. It did. It's been decades since I heard or played in a Navy concert band, but I don't recall fleet bands playing at such a level. Throughout the concert, I found myself wondering: is this the typical quality of today's fleet bands, or is the Great Lakes band somehow special? My guess is: both. After the concert, the bandmaster, LT Geordie Kelly told me that a typical Navy fleet band nowadays is filled with MUs who completed their bachelors' degrees before enlistment. Navy Band Great Lakes' performance had everything you'd expect from a Navy band concert and, even better, things you wouldn't expect; I'll provide video highlights of the concert soon.